Polaris RZR News News involving the Polaris RZR and site news will be posted here. News in this section will be posted to the front page. Only RZRForums.net staff may start new threads in this section. 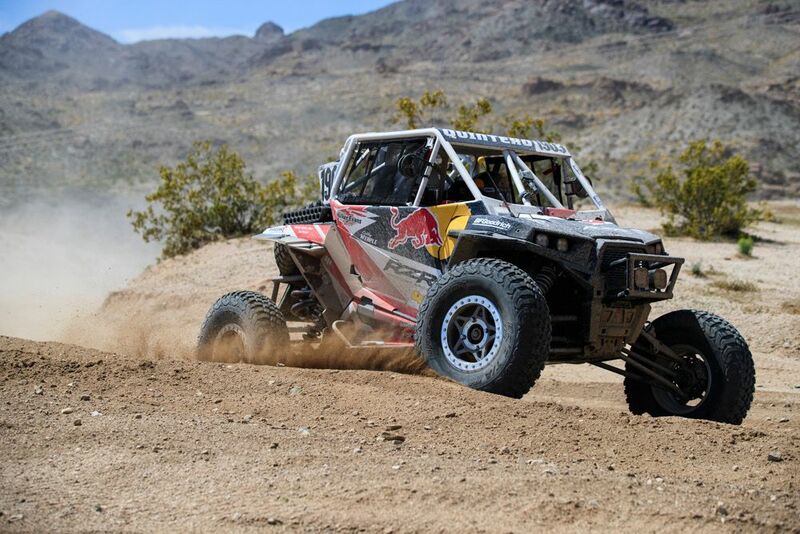 MINNEAPOLIS, MN (April 10, 2019) – At the fifth-annual Polaris RZR® UTV World Championship in Laughlin, Nevada, Polaris RZR® Factory Racing continued its winning streak with two wins and six podiums from RZR Factory drivers. 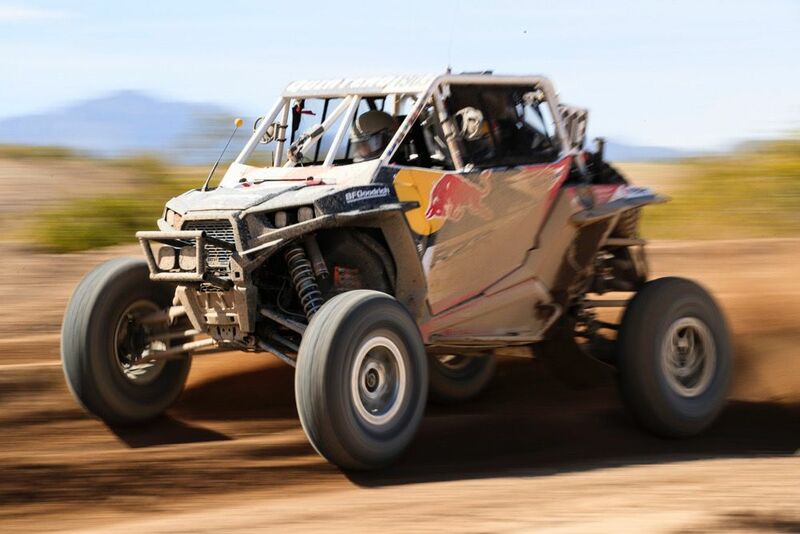 Additionally, RZR Factory Racing secured two wins and three total podiums at the SCORE San Felipe 250 series opener in Baja California, Mexico. At the UTV World Championship, Polaris RZR Factory Driver Seth Quintero secured the UTV NA class win, giving the 16-year-old driver three-consecutive wins this season. Polaris privateers Mike De Ley and Dan Kaatz followed Quintero to round out the NA class podium, while RZR Factory Driver Mitch Guthrie Jr. brought home second in the Pro Turbo class. During Sunday’s short course races, Polaris RZR swept the Pro 1000 class podium, as Colby Wemple, Shelby Anderson and Sierra Romo placed first, second and third, respectfully. In the final race of the UTV World Championship, RZR Factory Driver Jacob Carver finished third in the Pro Turbo short course class. At the SCORE San Felipe 250 season opener, Polaris RZR Factory Racing earned two wins with RZR Factory Driver Wayne Matlock’s Pro Turbo win and Kristen Matlock’s Pro NA win. The two victories mark the second-consecutive year the husband and wife duo each won their class, while Wayne’s Pro Turbo class win gives him three-consecutive San Felipe 250 wins. In the Pro Turbo class, RZR Factory Driver Mike Cafro finished second. Polaris RZR Factory Racing has secured 13 wins and 25 podiums in the 2019 calendar race series. RZR Factory Racing looks to continue its success at WORCS round four in Las Vegas, Nevada, and LOORS round two in Chandler, Arizona. More information about Polaris Off-Road Vehicles and Polaris Engineered Accessories can be found at RZR.Polaris.com. Also, join the conversation and follow RZR on Facebook, Instagram and Twitter. Polaris Industries Inc. (NYSE: PII) is a global powersports leader that has been fueling the passion of riders, workers and outdoor enthusiasts for more than 60 years. With annual 2018 sales of $6.1 billion, Polaris’ innovative, high-quality product line-up includes the RANGER®, RZR® and Polaris GENERAL™ side-by-side off-road vehicles; Sportsman® all-terrain off-road vehicles; Indian Motorcycle® mid-size and heavyweight motorcycles; Slingshot® moto-roadsters; snowmobiles; and pontoon, deck and cruiser boats. Polaris enhances the riding experience with parts, garments and accessories, along with a growing aftermarket portfolio, including Transamerican Auto Parts. Polaris’ presence in adjacent markets globally includes military and commercial off-road vehicles, quadricycles, and electric vehicles. Proudly headquartered in Minnesota, Polaris serves more than 100 countries across the globe. Visit www.polaris.com for more information. Today 11:51 AM by UTV Inc.